This product will be in stock on Wednesday 29 January, 2020. 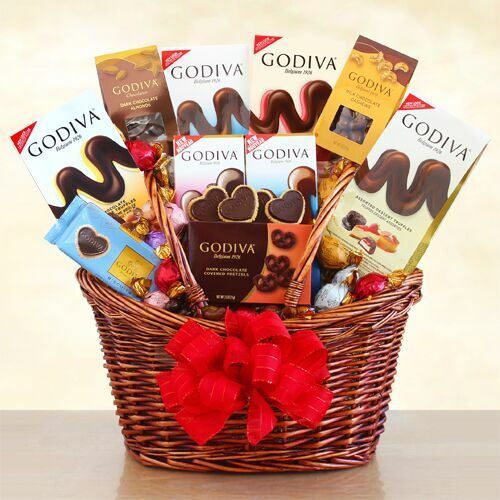 Say “Be Mine" to your Valentine this year in a grand way with a romantic basket filled with Godiva chocolate! Indulge their sweet tooth with an assortment of Godiva truffles, chocolate, biscuits, and more.